Supreme Printing’s large format process can print Wallpaper 48″ inches wide by virtually any length. Customize Wall prints in any style from traditional patterns to photo digital imagery or fine art. 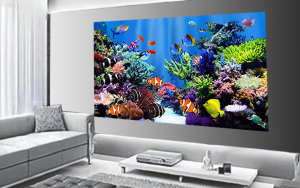 Imagine a custom wall mural from your own select photos or artwork. Personalize your living quarters or workspace with colorful and imaginative designs or messaging. We offer a variety of premium materials including washable vinyl and textured canvas. All of our mural materials are printed with eco-friendly latex inks for maximum print quality and durability. Supreme offers custom graphic services as well. We can add your business logo, customer testimonials, or anything else you desire. Have multiple photos you’d like to use? We can create a custom-sized collage for you. Have a really crazy idea? Just let us know what you want to do and we’ll figure out a way to do it. We take great pride in providing the highest quality murals and service available. If you need any assistance with your custom wallpaper or mural order please give us a call at 214-742-2511 and we will be happy to assist you any way we can.